The family at JMC would like to wish you and yours a Happy Thanksgiving. Well, well, well … look who’s back. 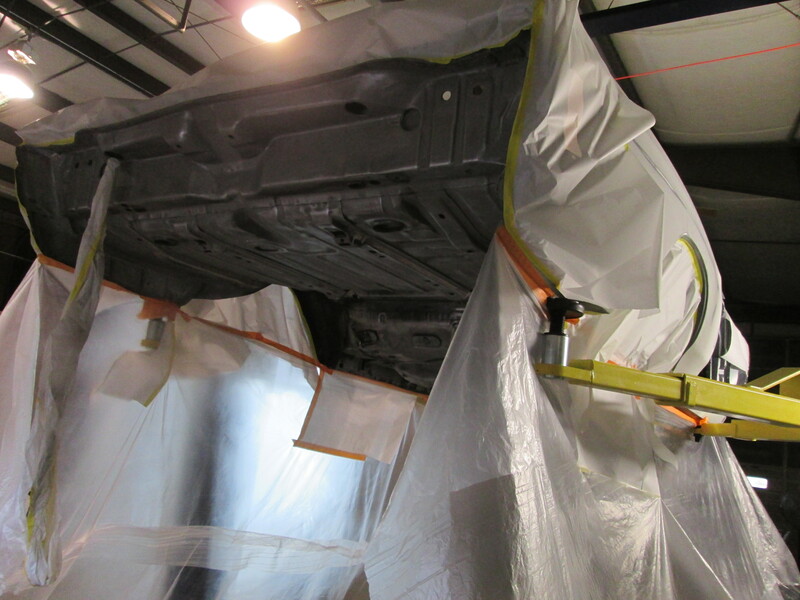 The 1969 el Camino that we painted last year in our High Performance Finish is back in the shop for the final touch-up and check out before it is turned over to the owner for the last time. 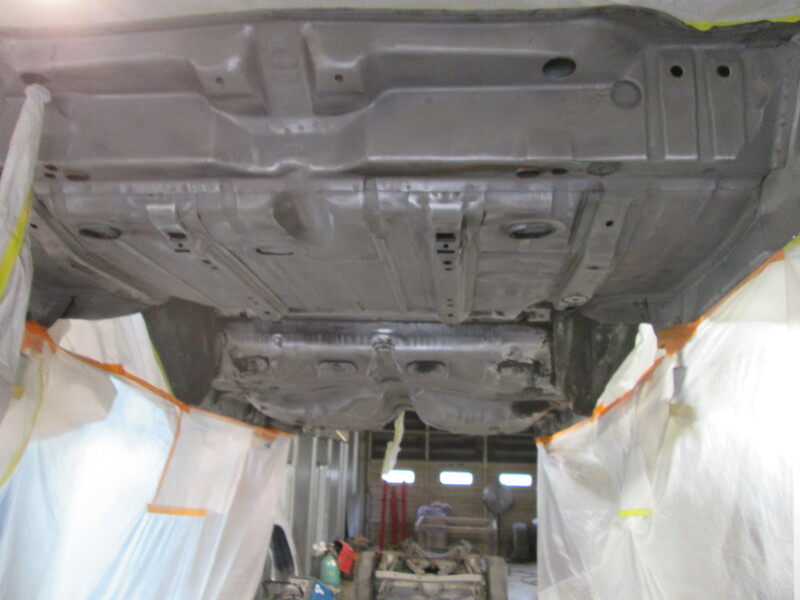 This car has been subjected to some major renovations … starting with extensive rust repair. 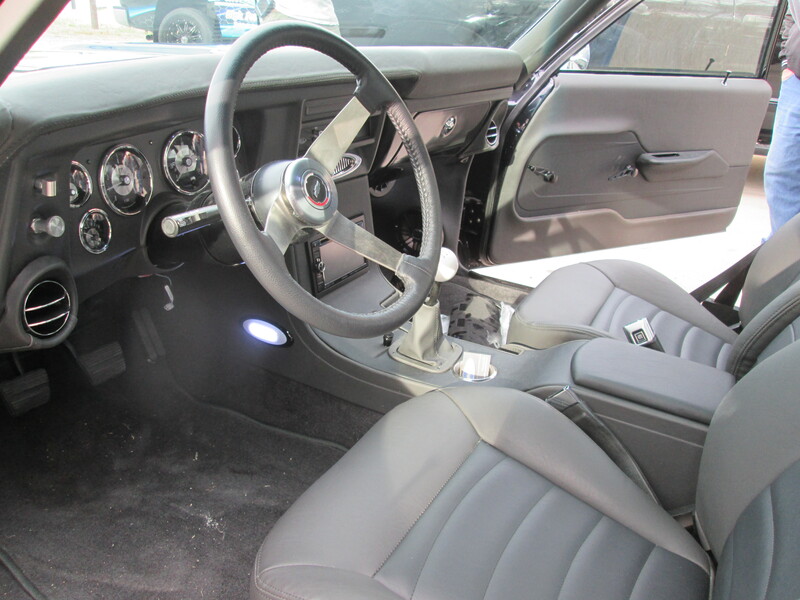 It also has a few carefully selected modifications to update it’s look without drastically altering it’s classic lines, such as removing of all the emblems and side marker lights, shaving of the drip rails, a 2-inch drop all around, single side glass, a custom interior and more. 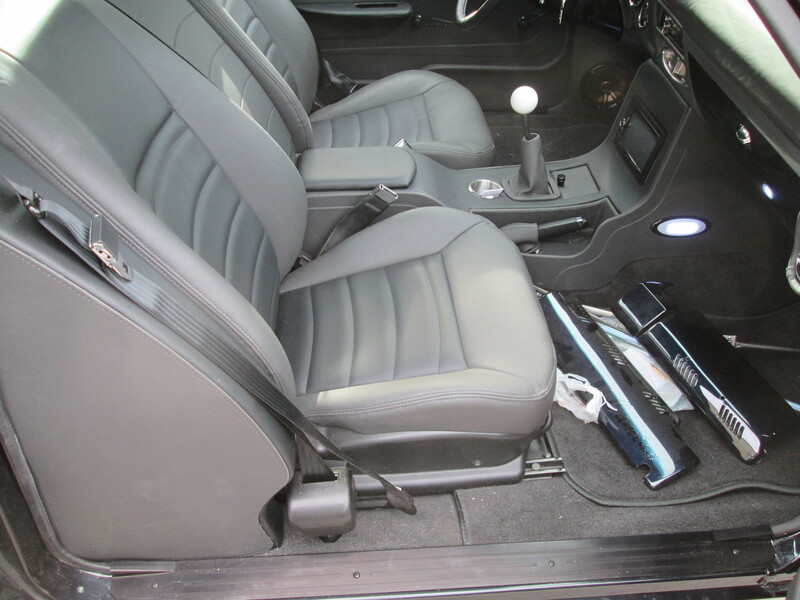 Now that the car is back in the JMC AutoworX shop we can clean up the few problems that have cropped up since we had it last, most notably the reason it came back on a tow truck. 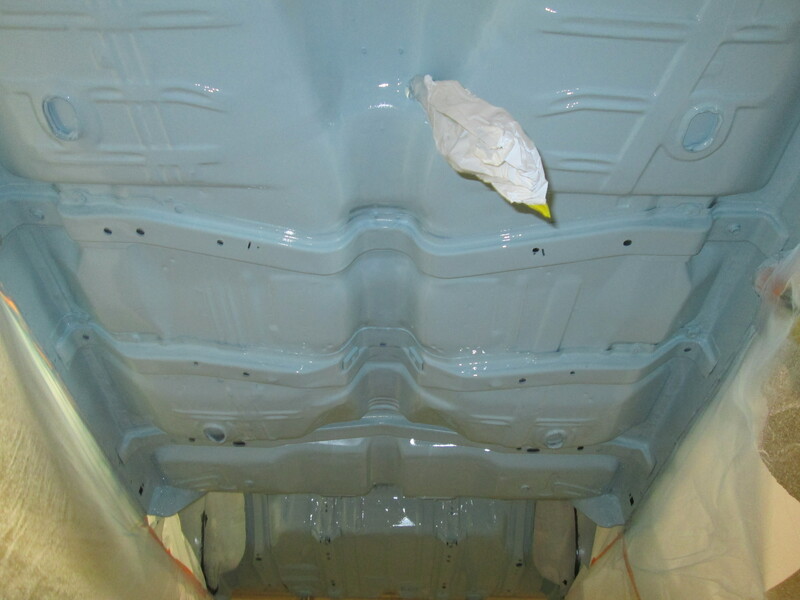 The owner filled the car with fuel for the first time … and found the new tank we installed is defective and leaking around the filler neck. Annoying … but these things happen. Fortunately the place that sold the fuel tank is replacing the tank under warranty, but it means more delays in getting the car finished so the owner can begin to enjoy this beautiful car. 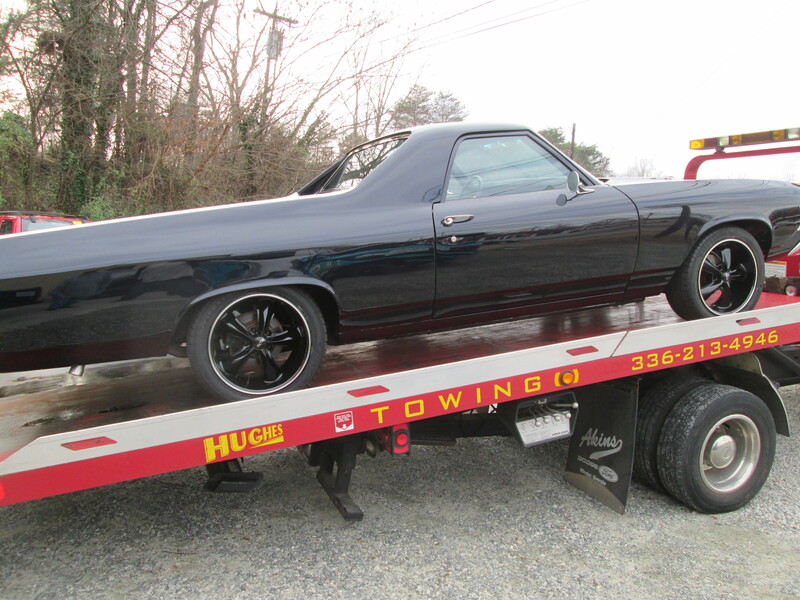 If you want a closer look at this stunning el Camino, stop by the Annual Shriner’s Drag Racing & Hot Rod Expo in the Greensboro Coliseum the weekend of February first and second. There will be lots of great looking cars on display inside where it will be warm and dry … a great way to spend a dreary February day. This will be one of the new cars presented by JMCAutoworX this year, and it’s a dandy. 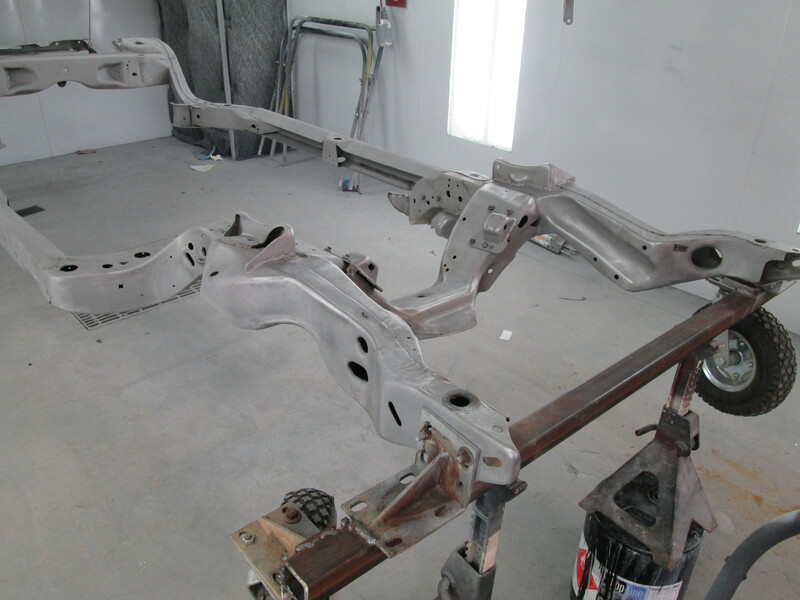 Today the owner of the Chevelle dropped off the new stainless brake lines and gas lines. 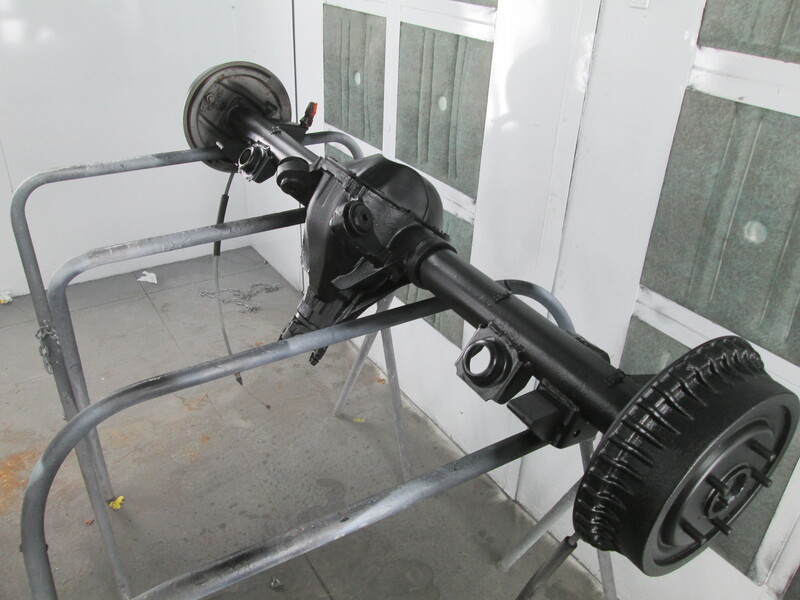 We carefully matched them up the factory ones, then installed them using the new clamps furnished in the kit. 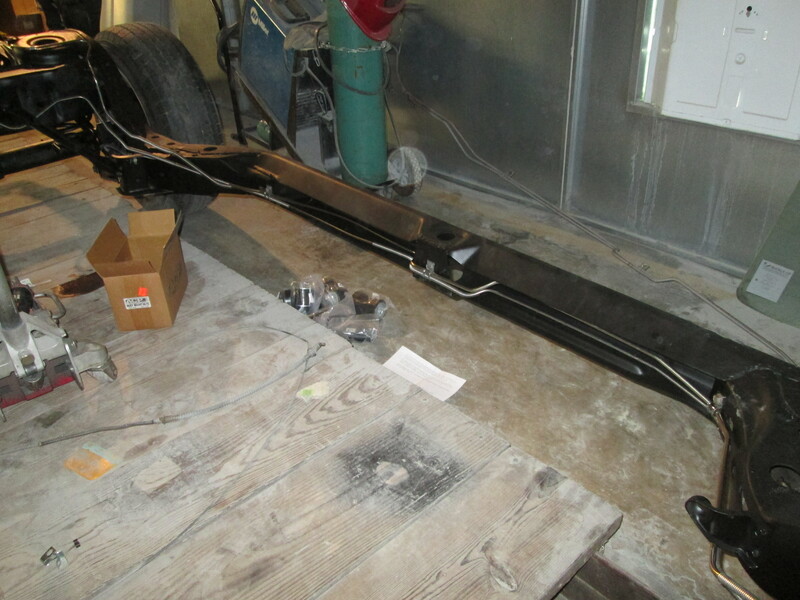 We have the new body bushings and the new body bolts should arrive next week. 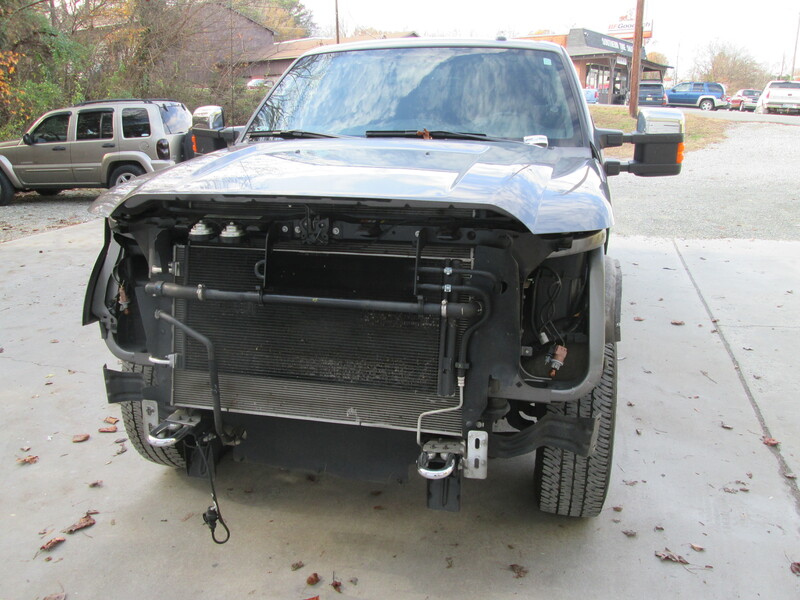 Once we get those, its back together with the body and frame. 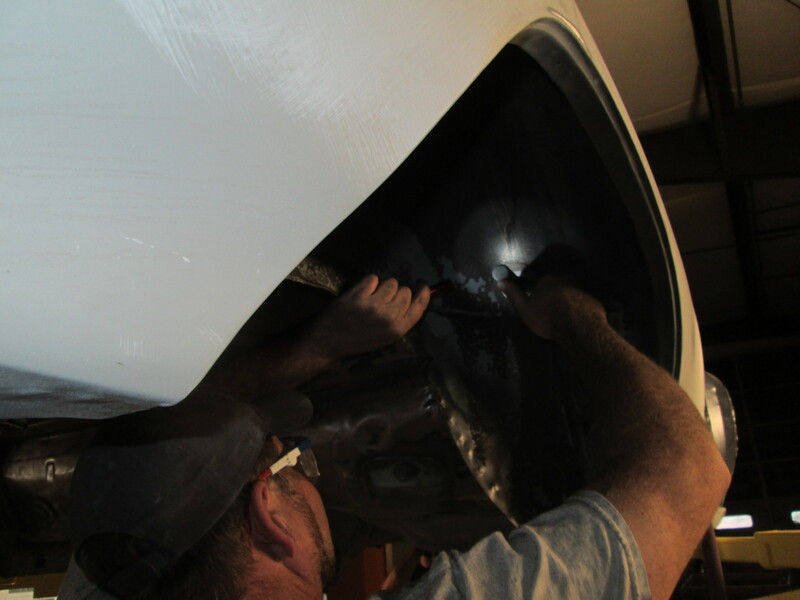 We have been working on the Camaro over the past few days. 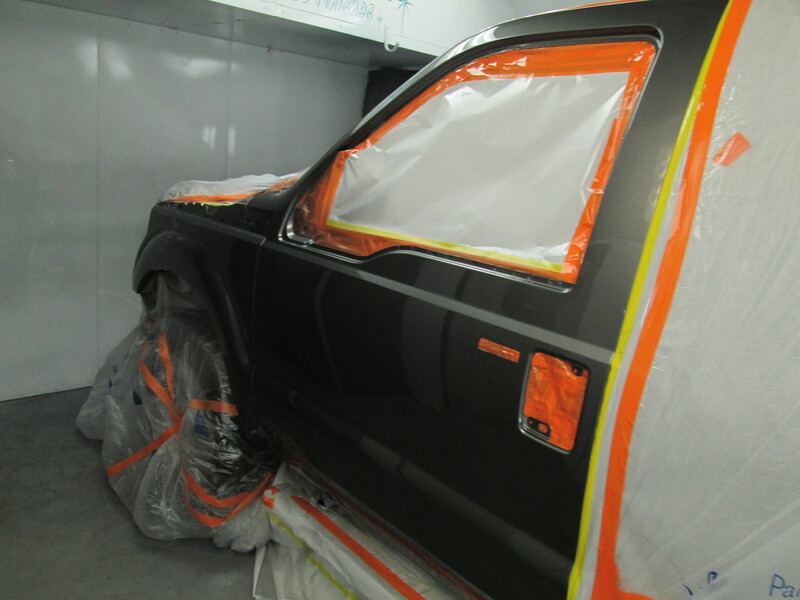 We started by building the vent widows and painting the guide channels. 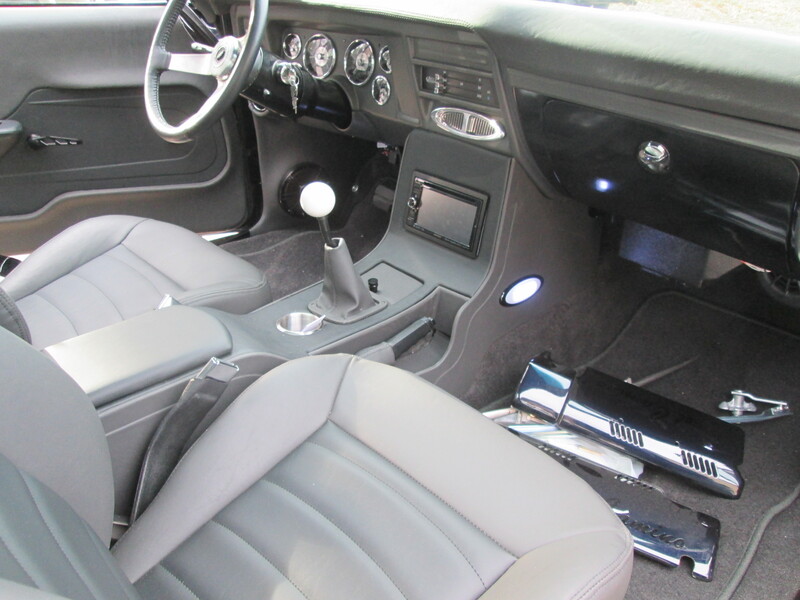 Then the vents were installed, then the regulators in the doors. Then we did the quarter glasses. So far so good. We do have an issue with the left quarter glass. Its a bit sloppy. I think we are going to have to change out the old rollers. Its just not as smooth as should be. 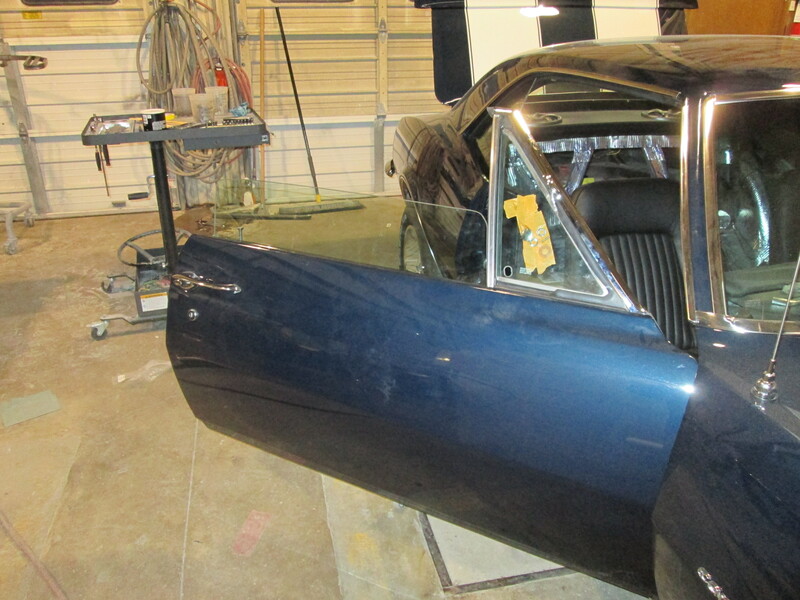 We still have to fine tune the adjustment on the glass, this can be the tedious part. 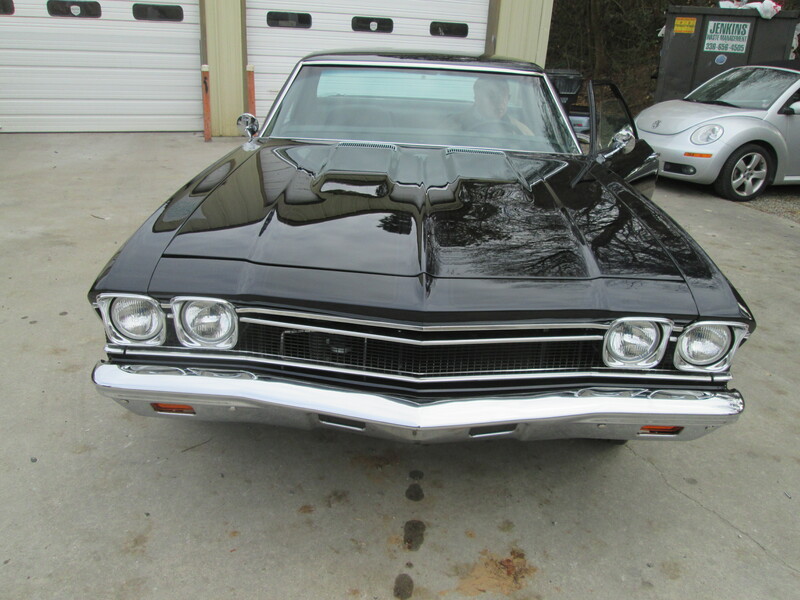 Friday it goes to Alamance Muffler to get the exhaust installed. 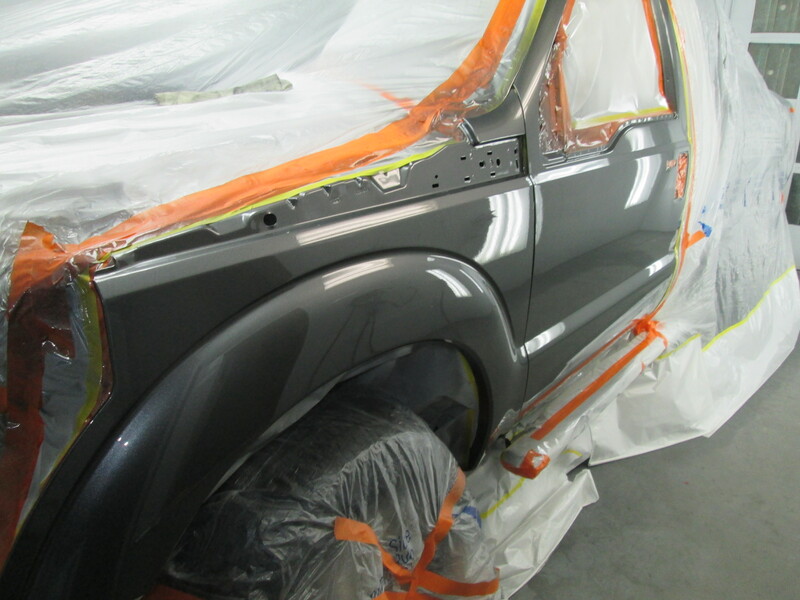 Today we slipped the F250 into the booth to get the fender painted. 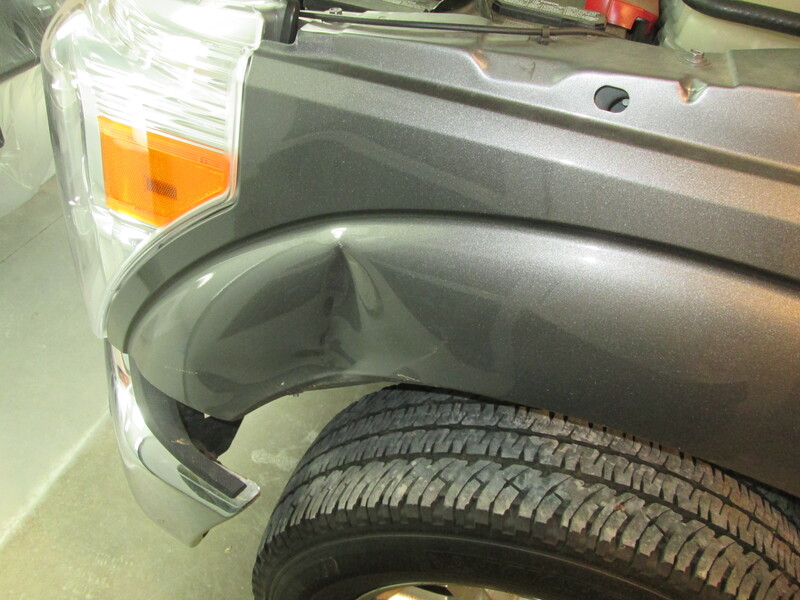 As you can see when we painted the front bumper and grill, we also painted the fender. We had to trim it out anyway, so I just went ahead and painted it all. It did make painting it today a bit easier. 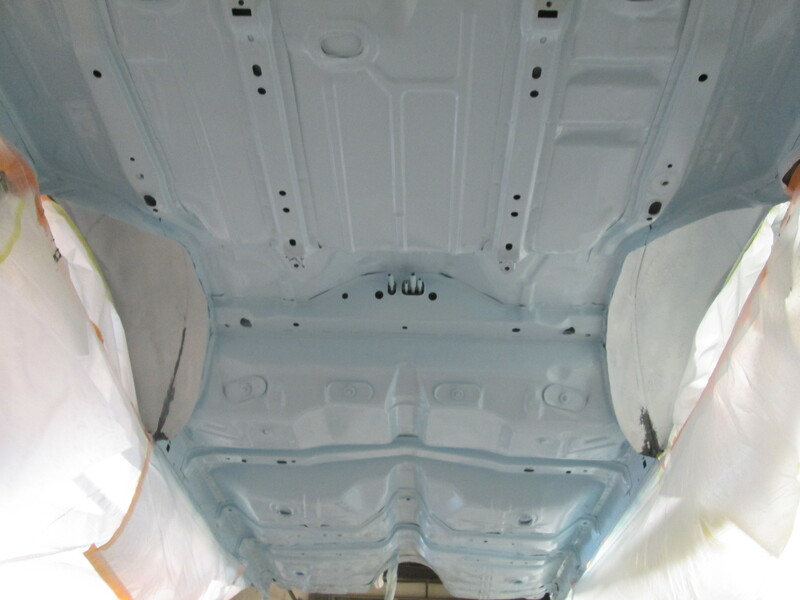 We only had to put a couple of coats at the gap between the fender and door for color match then we cleared it. Since tomorrow is Thanksgiving, we will be closed. So Friday we will put this one back together and get it back to the owner. 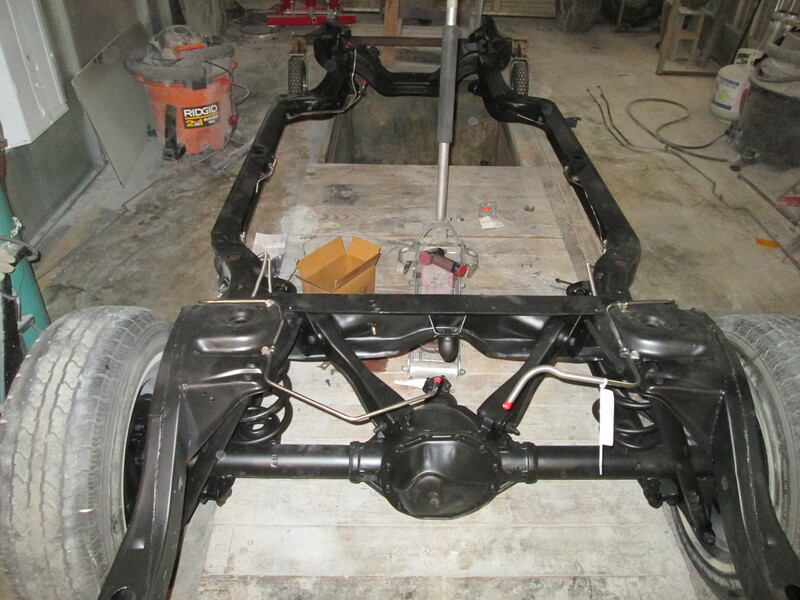 Keeping with the theme of working on the underside of this Chevelle, we decided to get the frame painted today. We spoke with the owner and they will be getting new gas lines and brake lines next week so we should be mating the frame and body back together soon. 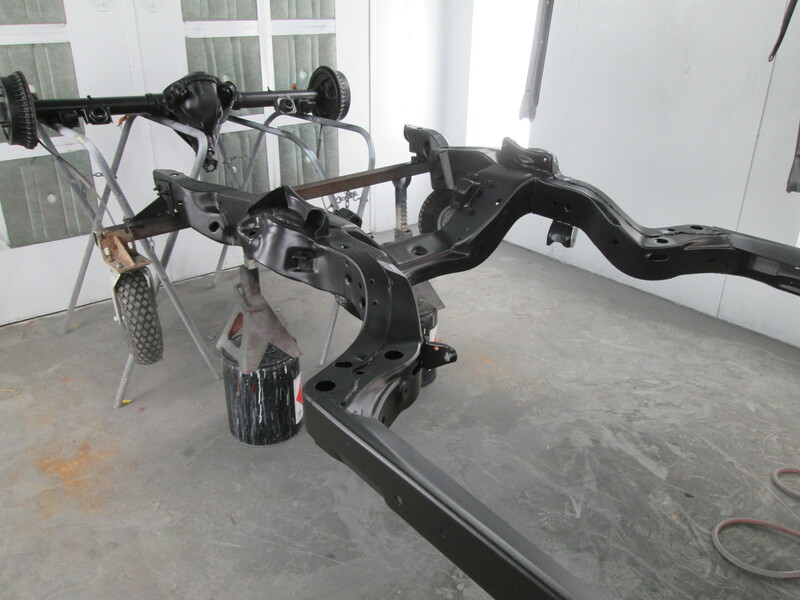 This black frame will look great against the blue on the bottom of the car. 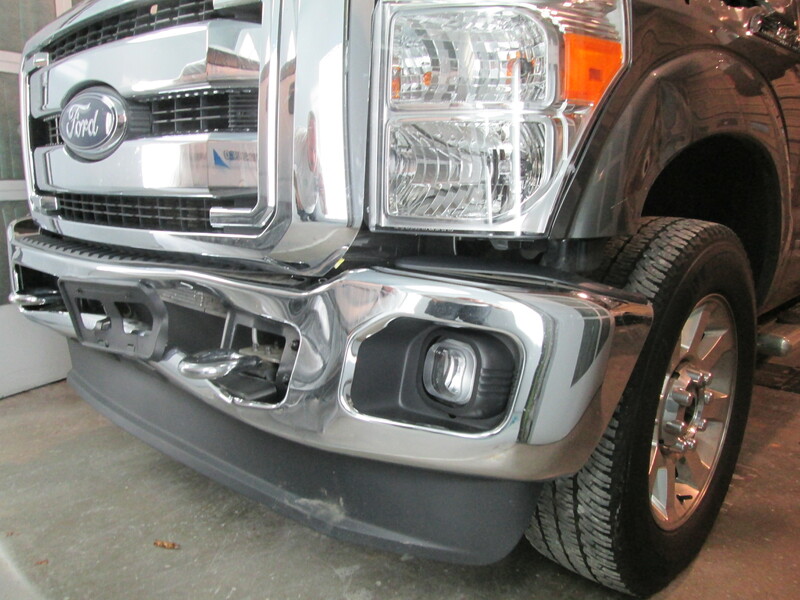 This is F250 that hit a deer after we have disassembled it to write an accurate estimate. 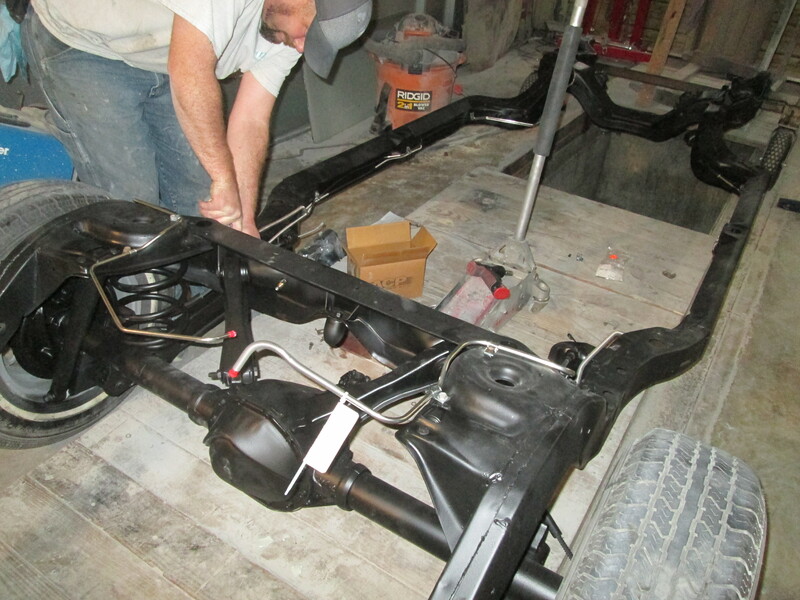 We did in fact find a few things that we would not have known about without taking it apart. We do have the parts on order for this one. We need to get this on back on the road as soon as possible. 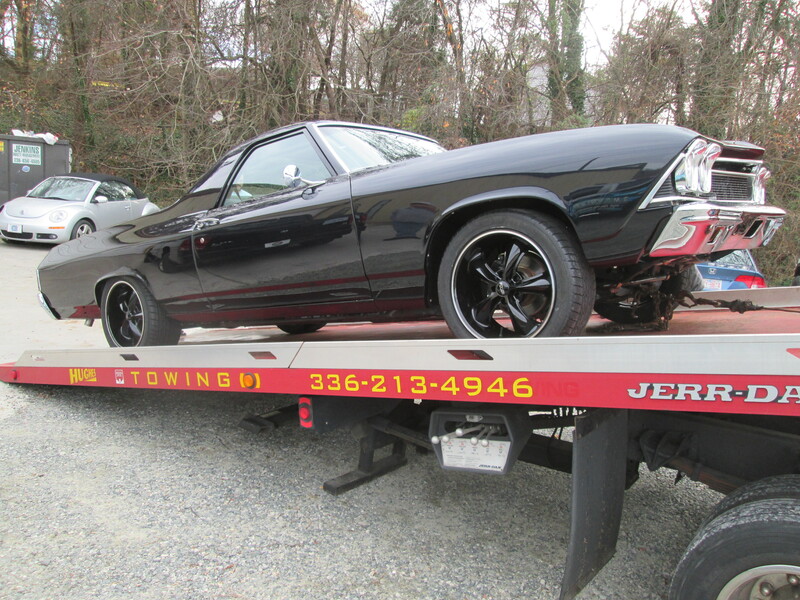 This Chevelle has been in the shop for a few months. 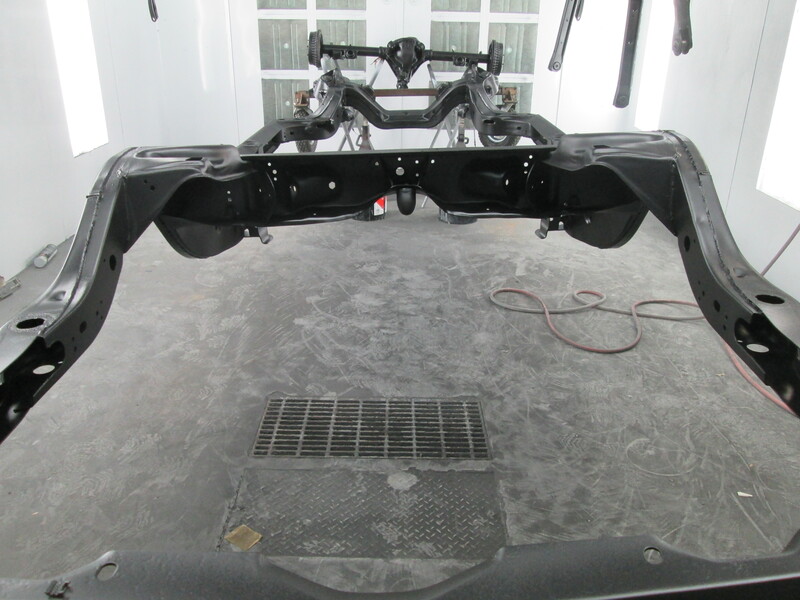 Since we have been busy with collision work and the final assembly on the Camaro we havent had a chance give this one very much attention. Today, that all changed. 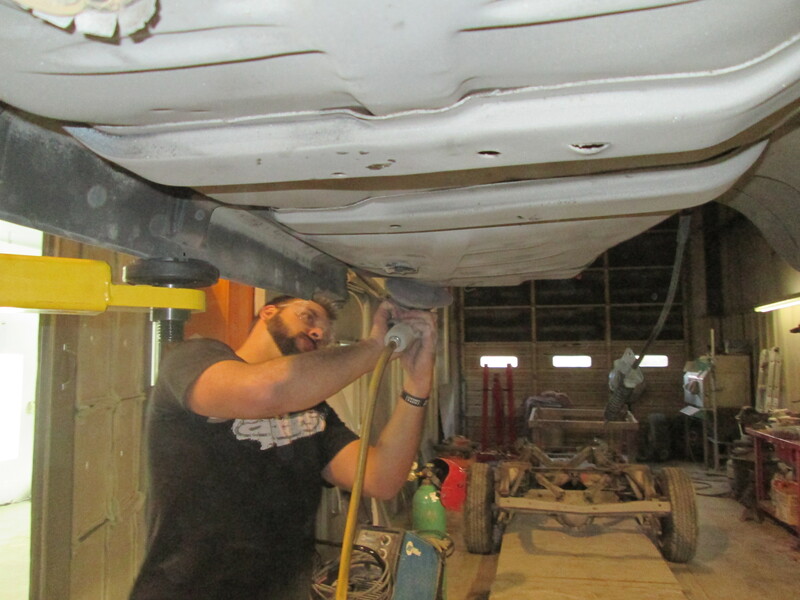 Jordan got right to work this morning sanding the bottom of the car. Once Chis and I were done with our work, we too jumped in to help Jordan. 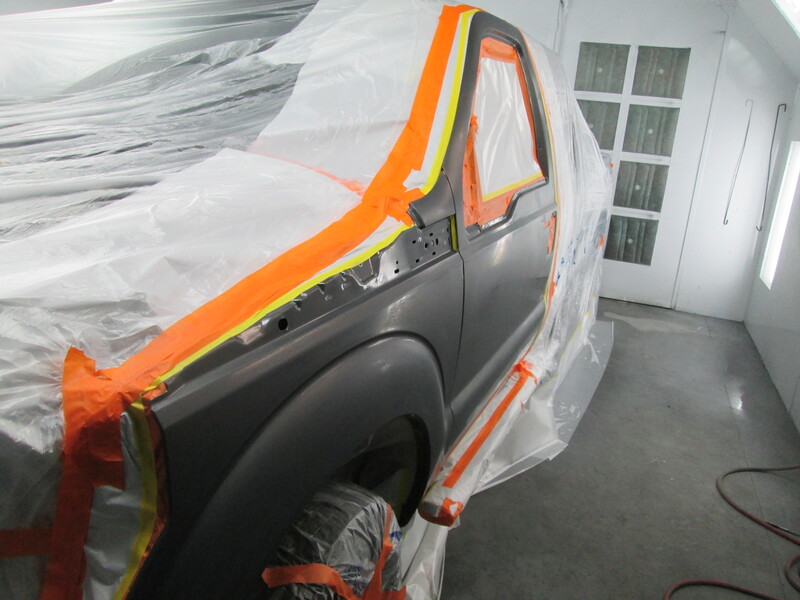 A few hours later we had it ready for paint. 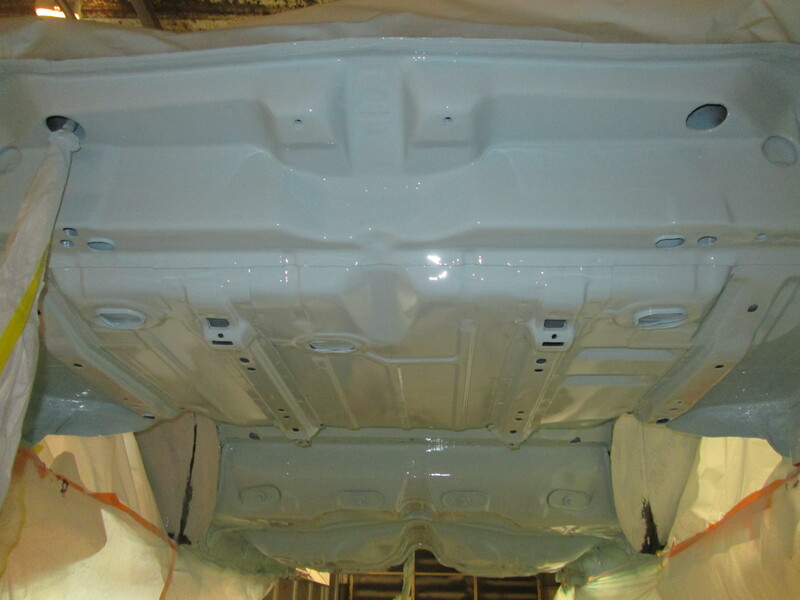 We masked off the areas and applied a coat of epoxy sealer followed by 2 coats of single stage. 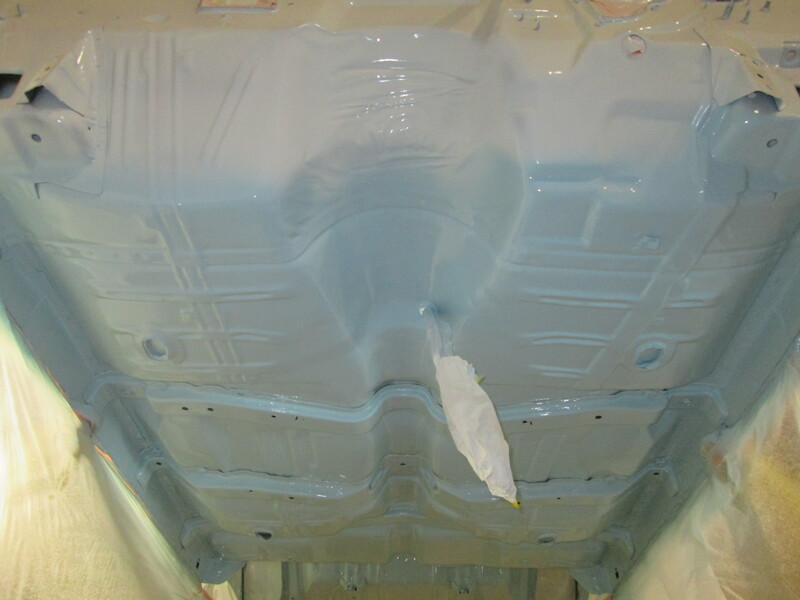 We normally put a spray in bed liner on the bottoms of our cars, but the owner wanted to keep it original since this is a very rare color and a pretty low mileage car. I think the bottom of the car turned out great. The hard work really paid off. OK, well it wasn’t really hard, but it was a super pain in the neck. 3 hours with one hand above your head looking up does take a toll on you. But like I said, I really think it was worth it. I am pretty dog gone sure the owner will love it! 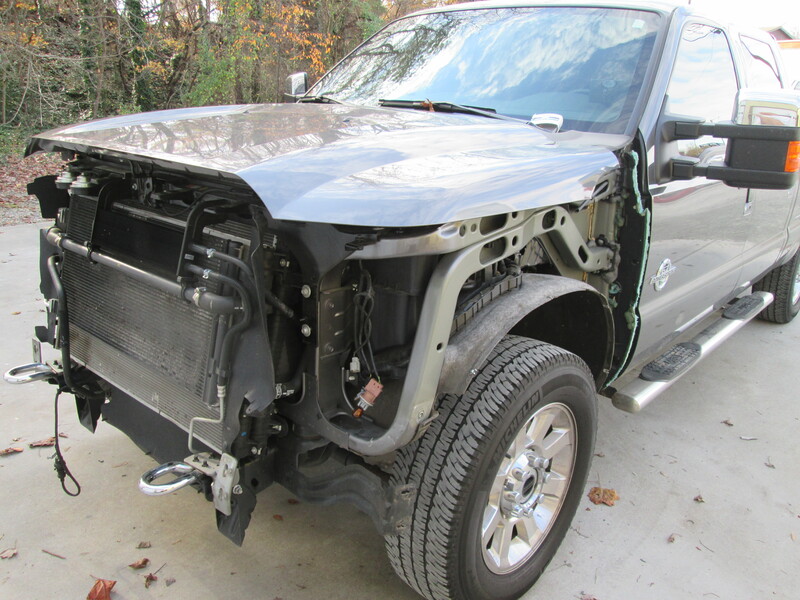 This F250 smacked a deer last week. It really has done a number to this very nice truck. 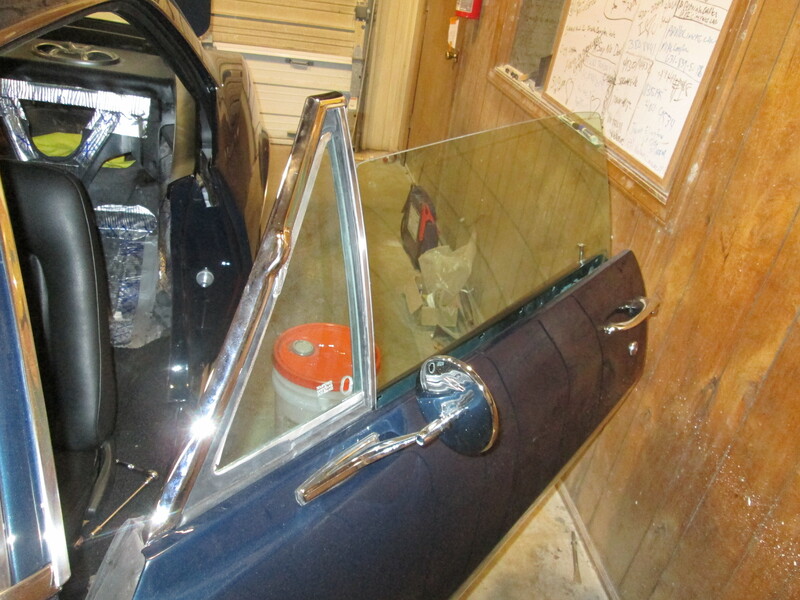 Tomorrow we hope to get it disassembled and get an accurate estimate written up on it. Since this is one of our regular customers, we know what he likes. Look for a few slight custom touches done to this 250 while its here. Nothing real drastic and most people wont really even know. But some will and the owner will. Which is all that really matters. 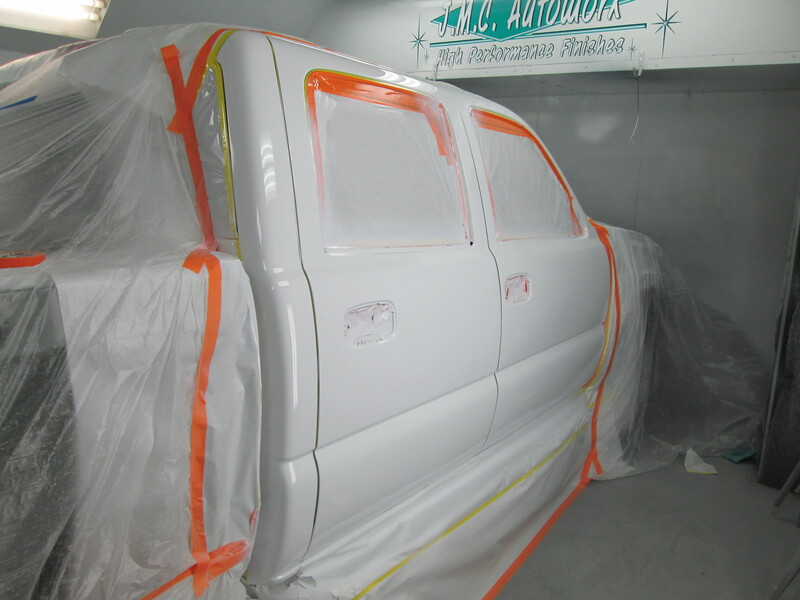 This is the dually that we painted the bedside on yesterday. 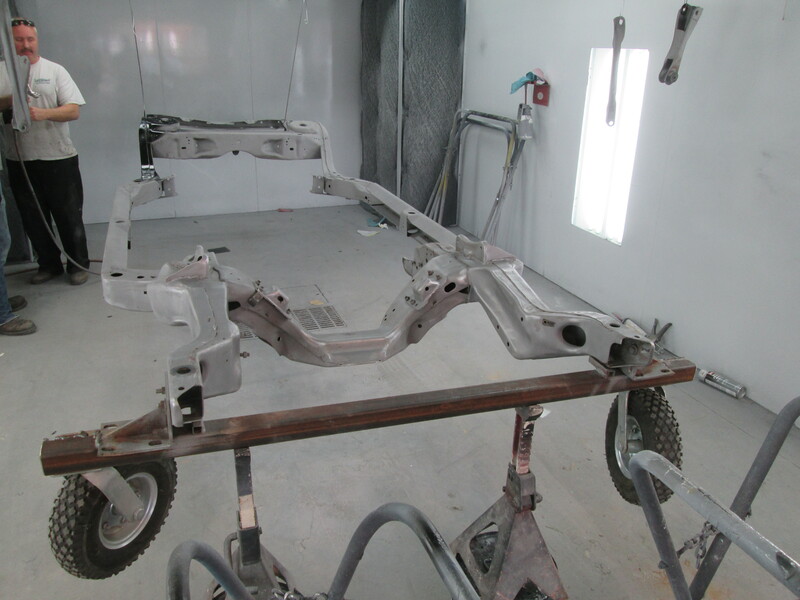 After the Maxima bumper was dry, we slid this in to get it painted. After squeezing it in with a shoe horn, we taped it up and bagged. 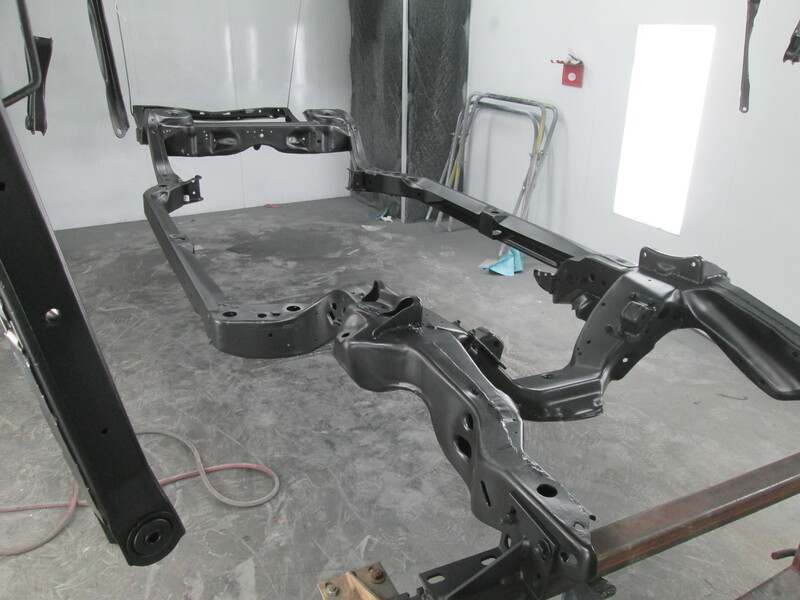 This was shot late in the day so we didnt get a chance to start reassembly, but that will happen tomorrow. 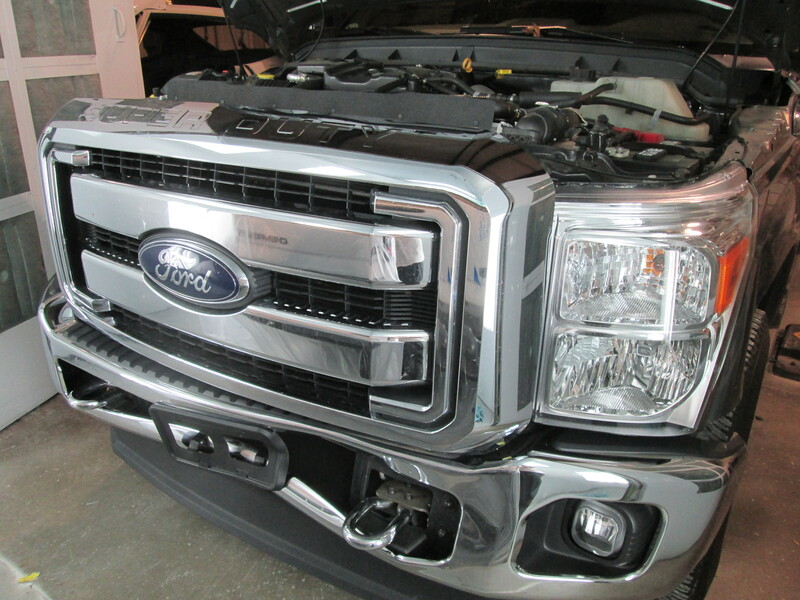 We are still waiting on a bracket from the dealership hopefully that wont hold us up too long.